It’s unfortunate that President Trump deals with the vitriol from Hollywood elitists. These celebrities live in a bubble and have no idea what’s best for America. They’re multimillionaires and complain constantly about his great successes. And one Trump-hating celebrity just got a huge wake-up call about his career over these startling new numbers. 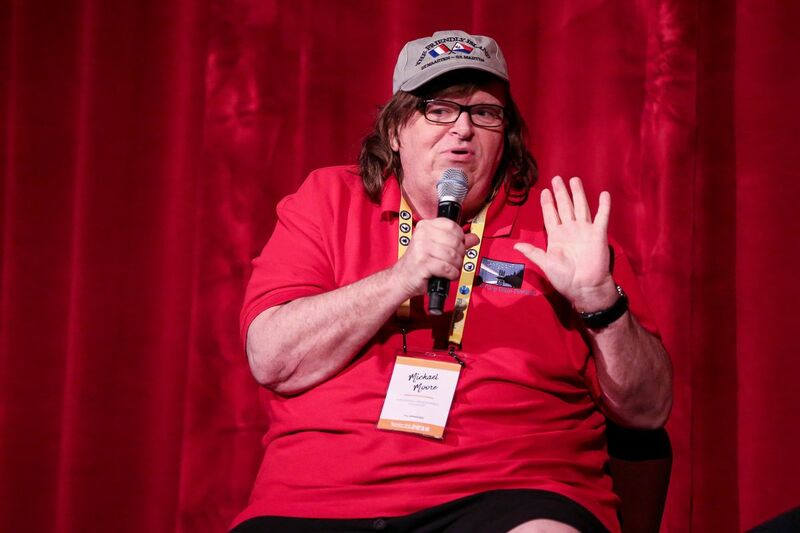 Michael Moore is undoubtedly one of the most famous liberal faces of Hollywood. The Academy Award winner criticized the 2nd Amendment in Bowling for Columbine and made a mockery out of George W. Bush in Fahrenheit 9/11. Moore’s newest film is Fahrenheit 11/9hit theaters last weekend is a pun on his original film. It features anti-President Trump hogwash liberal propaganda. The problem for Moore is that it was widely regarded as terrible by critics and fans. It was so bad that it completely bombed in the box-office. Moore’s film took in an abysmal $3.1 million across 1,700 theaters. Did he lose his audience? Are liberals sick of Moore? On Rotten Tomatoes, the film received a 77 percent score, which is by most standards, very good. Most people didn’t see it that way though. The audience score was a measly 58 percent. Many called it boring and nothing that they hadn’t already seen before. The box-office numbers are a far cry from how well Fahrenheit 9/11 did. Fahrenheit 9/11 is the biggest documentary of all time. It grossed $222 million worldwide. Every liberal has a hot take on President Trump. Moore doesn’t prove that Trump colluded with Russian President Vladimir Putin or even remotely along those lines. He just echoes what liberal news networks like CNN and MSNBC echo every single night. Moore is a lost cause that even liberals don’t seem to relate to anymore. The filmmaker consistently appears on HBO’s Real Time with Bill Maher and everything he says is liberal lunacy. The only thing he got right is when he “warned” America months before Trump defeated Hillary Clinton that he would win. The Flint, Michigan native said that he had visited the rust belt and talked with working-class Americans who were furious with former President Barack Obama. Hillary had a huge margin in nearly every national poll. Fortunately for all of us, he turned out to be right. But the reason why liberals didn’t flock to see his new movie was because there’s nothing new to offer to the anti-Trump narrative. The box-office numbers prove that. Nobody cares what he has to say about anything anymore. That’s precisely why he shows up on Real Time because he knows that his celebrity stature has slipped so far from grace. It’s like Bill Maher is the only person that wants to hear from him. And it’s also no secret that a lot of people despise Maher for his extreme liberal views. Moore’s career is over and he should just accept it and move on.